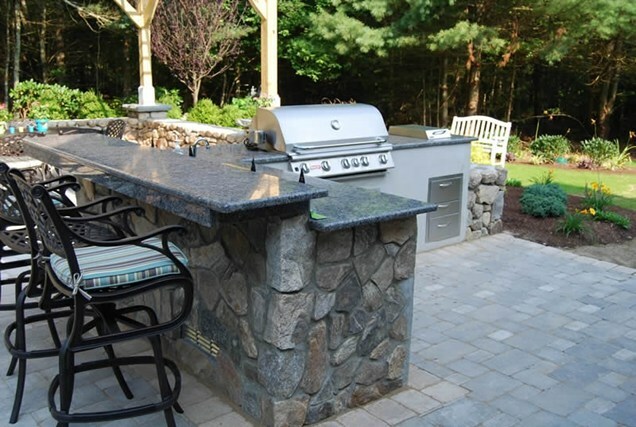 An outdoor kitchen can rev up the entertainment potential of your Toronto home. It can also add some colour and style to an otherwise mundane looking landscape. From having a casual outdoor do with your close friends and family, to hosting large groups, everything can be achieved if you have a fully functional working space. One of the fundamentals is a large countertop that lets you arrange and serve the delicacies while keeping a tab on things. Here’s a list of things to do and watch out for while cleaning your granite countertop. Cover it: Unlike the countertop in your kitchen, the outdoor countertop will constantly be exposed to sun, cold, rain, dust and dirt. It pays to offer some kind of basic protection that will prevent a direct exposure to these elements as much as possible. It can be a patio roofing or an umbrella or an awning. As long as it offers some shade, do it. Clean it: Either hose off or use a mild dish soap and some water to clean off any dirt or residue on the countertop. Make it a habit to clean weekly to avoid the chances of long term marks. Reseal: Check the seal of the stone once a year to ensure that any damage is spotted early. Reseal as necessary. Weather: Granite is extremely resilient to all kinds of weather and it won’t possibly get damaged. But if you wish to maintain the lustre and sheen of the stone, then you must keep it protected from extreme weather. Be it sun or snow, keep the countertop protected with a countertop cover that is available online. Animal Droppings: Animal or bird droppings are a potential health hazard since you will be using the countertop to cook. Clean it immediately with water and soap. Wax: There’s nothing like a scented candle to set the mood for a party. Chances are that after a drink or two, you forget all about it until you see the large gross wax stain on the granite. To avoid this, use a plate or a tray under candles. If the granite is stained already, then the oil may have penetrated the crystals and you may need to call the experts. 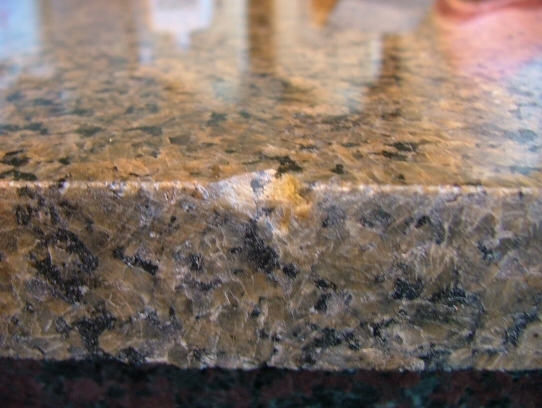 Oil: Continual exposure to oil can cause stains on the granite as the seal gets weakened. Keep oil in a bottle and ensure that there is no residual oil on the countertop. Rust: You accidentally left a couple of your garden tools on the countertop and now you have a large rust stain. Happens all the time. Use baking soda and some water to get rid of the rust. You can also use professional rust removers that can be purchased at your local hardware store in Toronto.